Request A FREE estimate now! 24/7 Hour Emergency Tree Service. OC Tree Service provides top quality service by top quality professionals you can trust. Servicing Orange County for over 19 years. OC Tree Service services all South OC and Orange County areas. 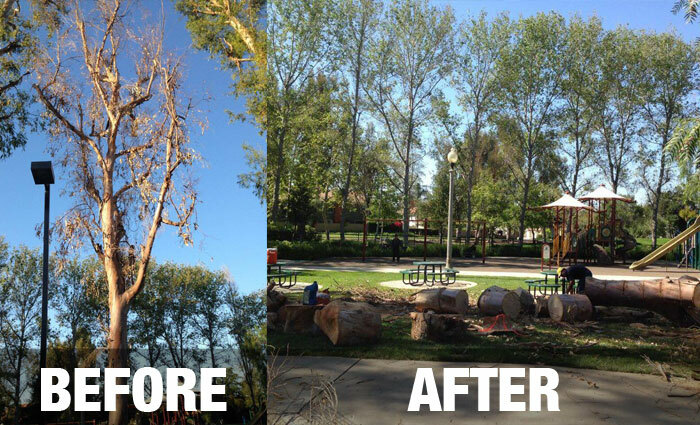 From tree maintenance in Mission Viejo, Laguna Beach, Coto de Caza, Lake Forest, Irvine and also providing tree removal service in Fullerton, Anaheim, Yorba Linda, Brea, Orange! We also work on hauling, tree pruning, trimming, removal, bracing, chipping, crowns, stump grinding & removal, land cleaning, cabling, mulching. Being a 3rd Generation tree trimmer with over 19 years experience. We provide great service since you deal directly with the owner and not a salesman or corporate company that just sees you as a number.